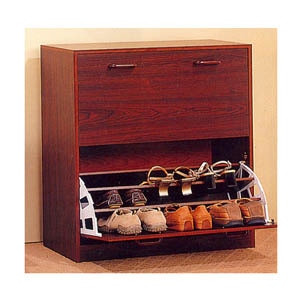 Shoe Cabinet Design For Your Closet Or Entry Way, With Ample Storage Space. Available In Cherry And Cappuccino Finish. Strong Construction. Easy To Assemble. Size: 30 In. (L) x 11 In. (W) x 34 In. (H).